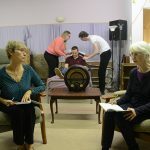 East Kilbride Rep Theatre Club’s ‘Festival of One Act Plays’ began in May 1984. In 2014 the festival was rebranded as ‘EK RepFest’. 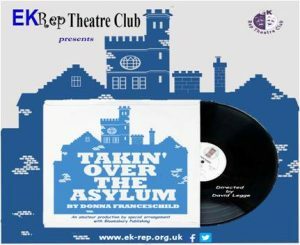 EK RepFest invites amateur theatre groups to perform one act plays on the Village Theatre stage and compete for trophies. Every May, over the week of the festival, audiences are treated to a wide variety of drama performed by clubs from across Scotland; from local East Kilbride groups, and even further afield – we’ve had visitors from Wick and the Shetland Isles! 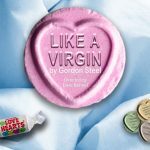 Each play is professionally adjudicated at the end of each night – publicly to the audience and privately to the cast and production team.